Do your contacts relish your news? Is your email newsletter extraordinary? 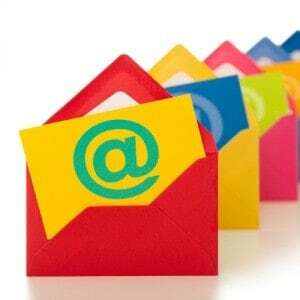 You know that a good email newsletter can be a powerful marketing and communication tool. The problem is, if your newsletter is not extraordinary, no one is going to read it. On average, subscribers receive 416 commercial emails each month! So how can you ensure that your newsletter stands out from the crowd and is opened, read, and acted upon? Here’s the key: people like email newsletters if – and only if – the newsletters bring them value. It must be relevant, timely, and interesting. The average reader skims a newsletter for 51 seconds. So don’t overwhelm them by squeezing too much information on the page. If your reader can’t sift quickly through the information you’re presenting, they may not click through – or even keep reading. Find a way to summarize your content in a compelling way, and let your readers click through to a landing page for more detail. Adopt the golden rule of newsletter writing – focus on five – and limit your newsletter to 4-6 text sections. Make sure you’ve determined your newsletter’s goal. Is your newsletter supposed to help you generate leads? Announce a new product? Send traffic to your website? Tailor your email around a few simple objectives – and ask yourself why (and if) your reader wants to know what you’re sharing. Once you’ve identified your newsletter’s primary objective, create an irresistible CTA that will prompt your reader to take a specific action related to that goal – submit a form, download a whitepaper, click for an offer, sign up for a demo, etc. We live in an image based culture. A compelling image can stop your readers in their tracks, draw them into your content, and keep them reading. But if you include too many images, you risk distracting your reader or triggering a spam filter. Want to link back to your website, blog posts, and social media channels? Do it – but don’t overdo it, or you’ll risk triggering spam filters. I hope that these tips help you to get started on the path to optimizing your next email newsletter! Just remember – be brief. Be simple. Be selfless. Put yourself in the shoes of your target reader and work backwards to reverse engineer your newsletter. What are your email newsletter tips and tricks? Let us know in the comments section below. Like the data in here – reminds me that less is more – you have less than 60 seconds to get a response of some kind!